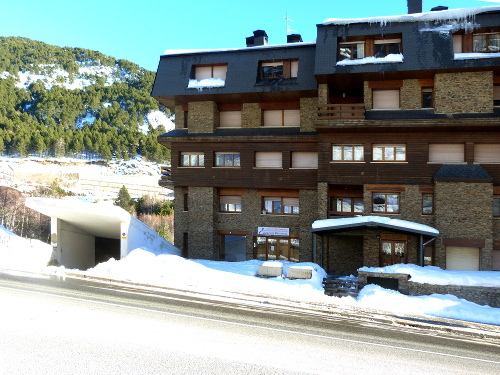 Apartment for rent, in Encamp, Canillo, El Tater and Soldeu, in the heart of Andorra, the country of the Pyrenees, near the ski slopes of Grandvalira. In winter you can ski on the beautiful ski area of GRANDVALIRA and 210 km of tracks (the largest of the Pyrenees) and its modern facilities. Vacances Pirinenca will propose you 1, 2, 3 or 4rooms apartments near Grandvalira ski area. You can ski in a magnificent setting amid the pines or join skiing Pas de la casa (northern access to the resort). View of the building with the reception Rentals Pirinenca.